Today Edwards Lifesciences Corp. announced it will acquire CAS Medical Systems, Inc., a company that provides non-invasive monitoring of tissue oxygenation in the brain. Today’s news of the all-cash deal, with an equity value of about $100 million, pushed shares of CASMED’s stock up 54% (a six-month high for the company) during the morning trading period. “We believe the incorporation of CASMED’s FORE-SIGHT technology into Edwards’ leading hemodynamic monitoring platform, along with Edwards’ predictive analytics capability, will strengthen Edwards’ leadership in smart monitoring technologies by providing physicians with a more comprehensive status of their surgical and critically ill patients,” said Katie Szyman, Edwards’ corporate vice president, critical care in a company press release. 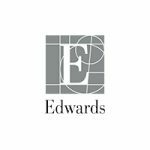 Edwards has a pending 510(k) clearance for a smart cable and software module that provides compatibility between the CASMED FORE-SIGHT sensor and the Edwards HemoSphere (it has already receive the CE Mark). This year the company exceeded its expectations, too. 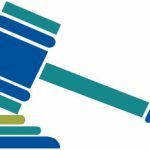 The companies are finally putting to bed all outstanding patent disputes. 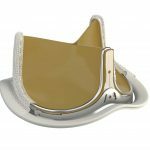 The Inspiris Resilia valve is intended for aortic valve replacement. The approval is for transcatheter aortic valve replacement in severe symptomatic aortic stenosis patients.